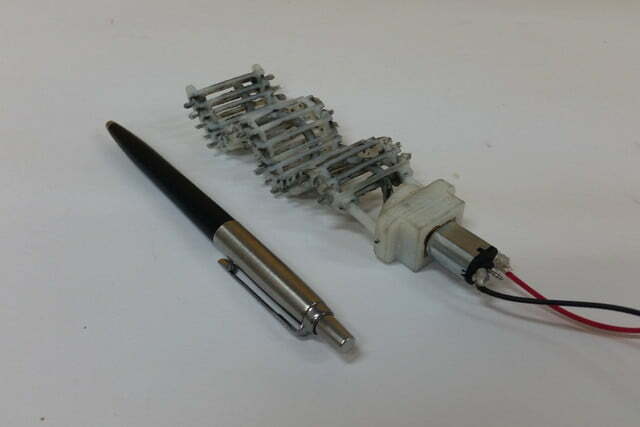 If you’re searching for a unique robot concept, look no further than the new Single-Actuator Wave robot created by researchers at Israel’s Ben-Gurion University of the Negev. 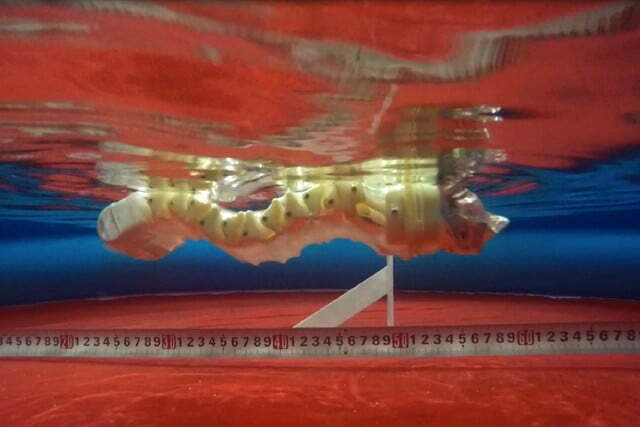 They’ve built a bio-inspired robot that creates forward motion via a “continuously advancing” transverse wave. 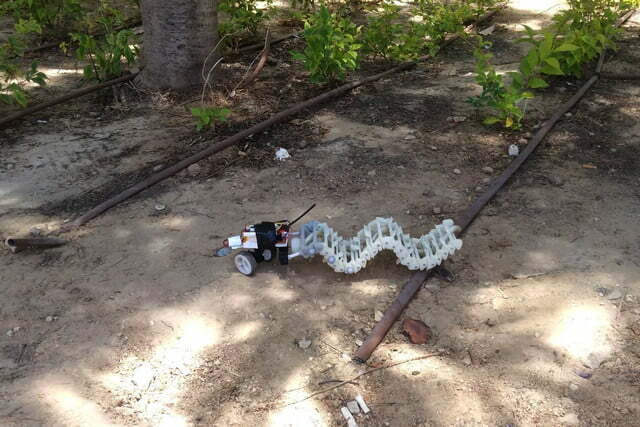 To put it in less scientific terms, it’s a worm robot that moves forward by doing the worm dance. While the wave motion is similar to the means by which creatures like snakes move (albeit flipped the other way around), it bears most resemblance to the locomotion method of tiny ocean organisms which propel themselves through the water using flagella. 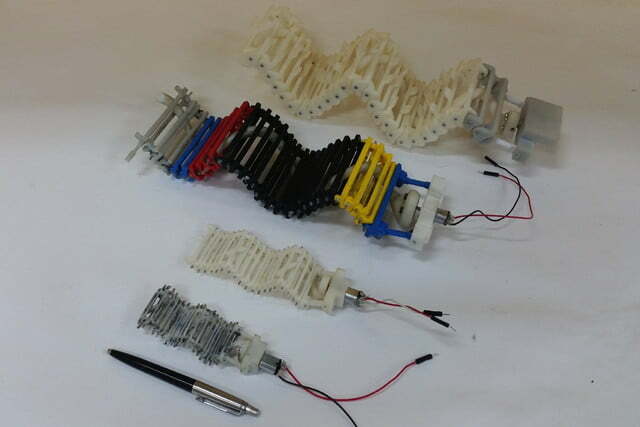 The SAW robot is powered by a single motor that rotates a spine-like helix, embedded inside a series of 3D printed plastic links. 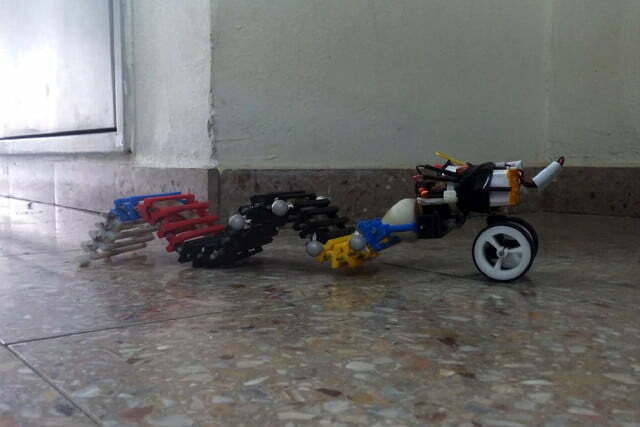 As the chain-like links touch the ground, they rotate — thereby pushing the robot forward. For Dr. Zarrouk what is most exciting about his creation is how easily it can scale up and down. But while it could definitely have advantages at a larger size, it’s on the smaller end of the spectrum where he thinks it could be most significant. So trippy and useful, huh? That’s our kind of robot!